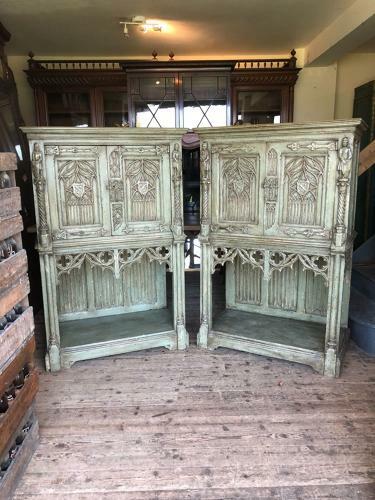 A large and very decorative pair of gothic cabinets extensively decorated with figures and gothic tracery , recently sourced on a French buying trip. All in excellent condition. Unusual to find as a pair and would make a striking addition to an interior.dating to the 19th Century.